Torrevieja enjoys excellent weather, and partly due to its 2 large salt lakes has been recognised as having one of the healthiest climates in the world. With an average of 320 days of sunshine per year, what better setting for outdoor activities. Visitors to the city don’t have to go far to find a wide range of excellent activities and attractions. There are miles of lovely golden sand beaches and beach sports, water parks, sports centres, golf clubs, Natural Parks, go-karting, quad biking, horse riding, paintball and a whole host of water sports. During the hot afternoons visitors can find welcoming shade in the city’s numerous parks and plazas, or enjoy a bit of retail therapy in a choice of excellent air conditioned shopping complexes. The beautiful salt lakes that give Torrevieja it’s healthy climate provide an important eco system and are home to a wonderful variety of flora & fauna, including pink flamingos. With more than 100 bird species as well as various fish and reptile species, the salt lakes and surrounding countryside are a favourite with nature lovers and birdwatchers. There are hiking trails, picnic spots and a Greenway that runs alongside the lakes. Torrevieja is a fantastic place to visit for golfers, with more than 11 challenging 18 hole courses within a 30 kilometre radius of the city, including the nearby luxurious 5* La Finca Golf & Spa Resort. The resort is delightful and aside from its whopping 6,500 yard course there is a luxurious hotel, swimming pool, tennis court and modern spa complex. Less than a 10 minute drive from Torrevieja is the area of Orihuela Costa that boasts 4 golf courses practically within walking distance of each other. The Villamartin Golf Club is a firm favourite for golfing holidays as it’s centrally located to the other courses and is right next to the lively Villamartin Plaza, where accommodation is available on the top floor with the lower 2 levels boasting an excellent selection of bars and restaurants. Well worth a mention is the outstanding La Manga Club Resort. 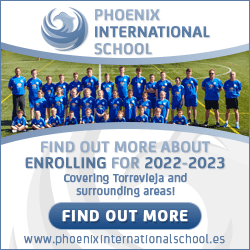 Situated just under an hour’s drive from Torrevieja and covering an area of 1400 acres, the club has won numerous international awards and is recognised as Europe’s best sports and leisure resort. This huge resort features 3 golf courses, 2 hotels, a 2000m2 spa complex, 28 court tennis centre and 8 FIFA standard football pitches. A little less sophisticated but just as good fun, a 5 minute drive from Torrevieja is Go-Karts Orihuela, a firm favourite with the kids both old and young. With a handy snack bar and kids playground, there are both adult and older kids racing tracks with a range of Go-Karts to suit, including quad bikes and dual karts with 2 steering wheels so the young ones can have fun while you remain in control. Prices range from 6€ for kids Quad bikes to 23€ for the Honda 400cc Go Karts for an 8 minute ride. 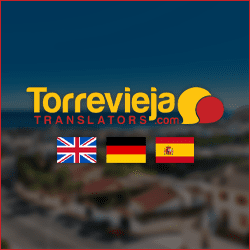 There are a whole range of other fun and exciting attractions and days out to be discovered in Torrevieja, and we will be updating them on a regular basis, giving visitors the best choice possible for an enjoyable seaside holiday. 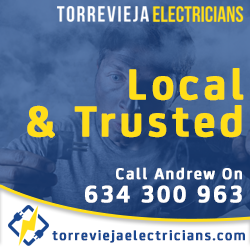 Torrevieja Things To Do © 2019 Costa Insider, S.L. All Rights Reserved. E&OE.